If you have found this page, it is very likely that you are looking for your perfect wedding photographer for your special day. Look no further, your search is now over. Weylin is often described as the jewel of Brooklyn with two incredible domes floating 110 feet over it’s mosaic marble floors. This iconic building was once the site of the Williamsburg Savings Bank, that was built between 1870 and 1875. What was once a a symbol of America’s post-civil war Renaissance, this former bank has been lovingly and masterfully restored into one of the city’s premier event venues. The focus of the space is Peter B Wright’s elaborate dome that encloses oval windows, allowing for a great deal of natural light to flood the space. The dome features a mural of spear shaped rays painted by Wright, which today is his only remaining mural work. The buildings exterior and interior are both registered as New York City landmarks and listed in the National Register of Historic Places. We are personally fans of the embossed monogrammed hinges and the 2+ million dollars of imported marble in the main spaces. An event at Weylin is truly a fete that will not be forgotten, from it’s iconic spaces for various size parties, to its catering partners, valet parking and convenient location. With so many spaces to use, your guests will be treated to a Brooklyn wedding unlike any other with a speakeasy in the basement that is perfect for cocktail hours. 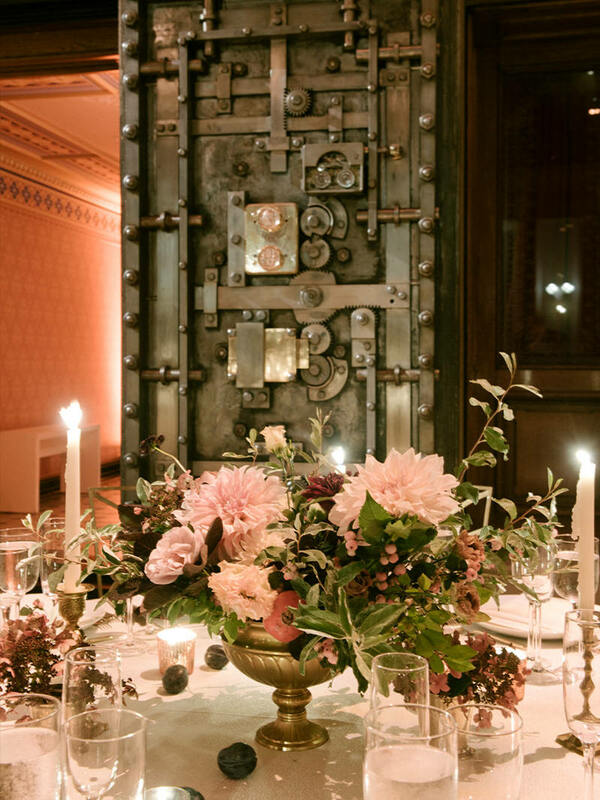 One of our favorite architectural features in the space is the original elevator and the vaults that make incredible backdrops for iconic New York City wedding photographs. 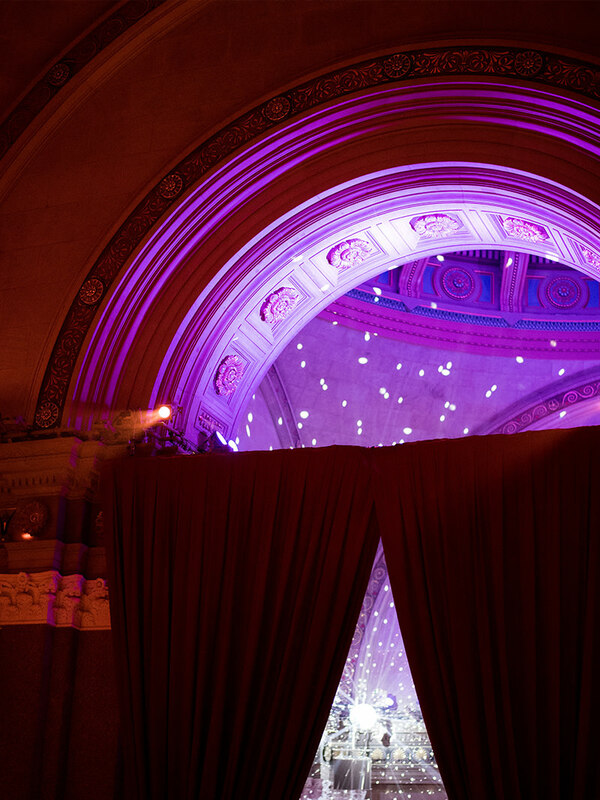 The location’s unique and landmarked architecture and lovingly restored design offer a meaningful backdrop to each event, a perfect combination of classic elegance and unexpected grandeur. PLEASE FILL OUT THE FORM HERE OR CONNECT DIRECTLY WITH THE PHONE & EMAIL INFORMATION BELOW.